He will talk about his process of location research, travel preparations, capturing engaging images, shooting aerials, night photography, HDR and panoramic imagery, and the art of post-processing in Lightroom and Photoshop. Plus he will discuss his work featuring various artisans and dancers of the Hopi, Navajo, Apache, and Zuni tribes. Learn about his personal approach to photography with insights into lens choices, settings, designing with natural light, and making timeless compositions. 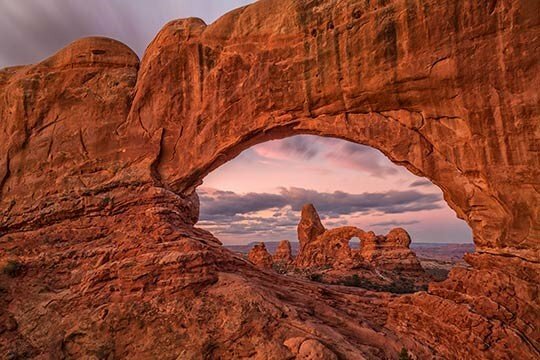 Enjoy an inspiring presentation that showcases Canyonlands, Arches, Monument Valley, Canyon de Chelly, Chaco Canyon, Grand Staircase-Escalante, Wupatki, Horseshoe Bend, Lake Powell, Rainbow Bridge, and many more environmental highlights of the Four Corners region.